Spring Break is just around the corner — and not a moment too soon. It’s usually right about now that you’re stuck in an academic maelstrom of assignments, essays, and midterms, and to top it all off you haven’t seen the sun in days. Any longer spent on campus and you might just lose your mind. Thankfully, you’ve got your holiday in the sun or on the slopes on the horizon. As you get your travel documents in order and triple check your passport is valid, don’t forget about an essential globetrotting tool: your phone. Though you usually never second guess adding this device into your pocket, your smartphone is a vacation gadget no Spring Breaker should go without. Equipped with a few essential apps and accessories, it can take your holiday to a whole new level. Keep reading to learn the best apps for your upcoming trip — wherever it may be! Resort life isn’t for everyone. For those of us who want to go off script and experience something unique on our travels, Google Translate may just be the most important app of them all. 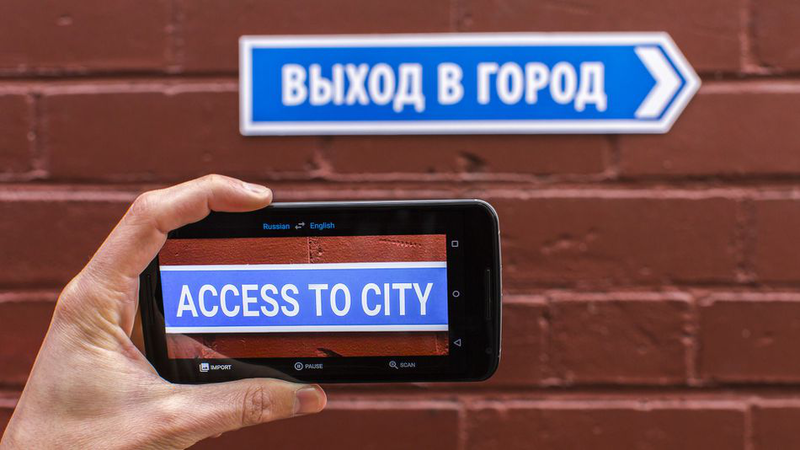 Google’s translation service has come a long way since its inception 10 years ago, with the most recent update to the app allowing for translations of real-time conversations. Just choose the language you wish you were fluent in and tap the microphone — that’s all there is to it. Imagine how handy this will be when you want to converse with local residents beyond the typical, “excuse me—where am I?”s. Hotel Tonight is one of those apps you hope you never have to use but should never get caught without. We don’t want to jinx your upcoming holiday, but sometimes our vacations don’t quite go according to plan. You can miss a connecting flight, get stuck somewhere, and need a place to stay; the Airbnb host can catfish you; your 5-star hostel ends up being invested with bedbugs. Whatever causes you to look for last-minute accommodations, Hotel Tonight’s got you. With a few swipes of your thumb, you can search through their deals on nearby hotels and find an affordable, clean, and reliable room in as little as 10 seconds. Taking that perfect selfie can take some work, especially when you’re trying to get the whole squad in the frame. You’ll need something to give you extra grip on your device, so you don’t accidentally take the last photo on that particular phone before dropping it to its death. Vinyl skins from a manufacturer like dbrand can add considerable traction to your phone. Whether it’s an iPhone, Pixel, or Samsung Galaxy S7, their vinyl skins will cover your device accurately with a snug fit—as long as you attach them properly. Be sure to learn how to apply dbrand skins before you attempt to put them on, and it’ll hug every curve and corner perfectly. As an added bonus, these Android and iPhone skins help prevent scratches and scrapes from taking a bite out of your smartphone, so it can survive your whole vacation damage-free. 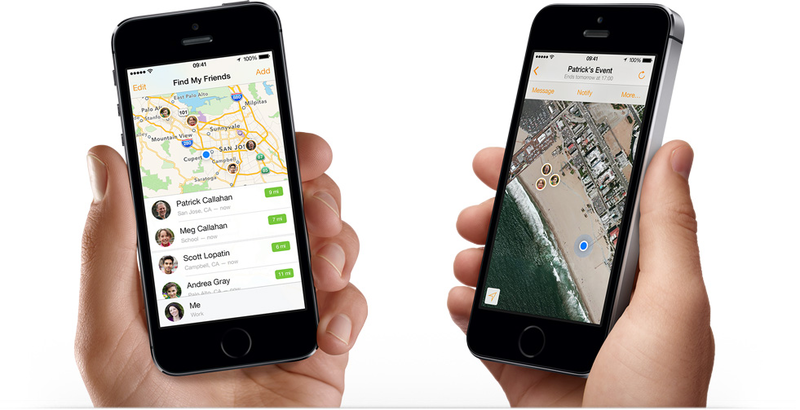 When the buddy system doesn’t work, Find My Friends will help you track down your lost travellers. This app is a great addition if you plan on breaking off from the main group throughout the vacation, or if your Spring Break takes you to an incredibly crowded beach. FMF links to everyone’s GPS, so you can always see their real-time location on a map. It may seem a little overboard, but you can never be too safe on a holiday abroad. Sure, you may be able to escape campus for a week, but you’re still on a student’s budget. That means you have to be careful with the way you spend your money. 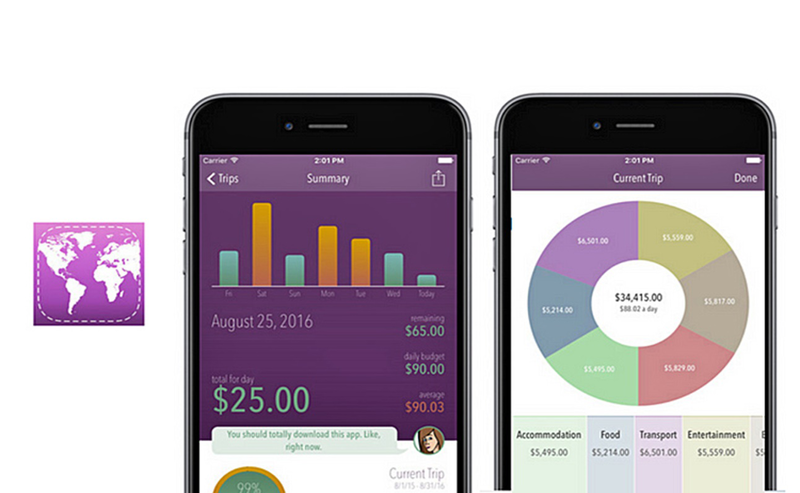 Trail Wallet helps you stick under your spending limits by tracking your daily expenses. All you have to do is input your allowance and the app deducts your purchases from your total and sends you notifications when you get close to your max. We know, we know — you could very easily keep track of this on your own, but you’re on vacation! You don’t do math on vacation. If you expect to use Google Translate and Find My Friends all day and all night, you can’t rely on your phone’s built-in battery. You’ll see the dreaded low battery message well before you plan on calling it a night. Without a backup, you’ll miss out on prime Snapchat opportunities, and your Trail Wallet budget will go right out the window. 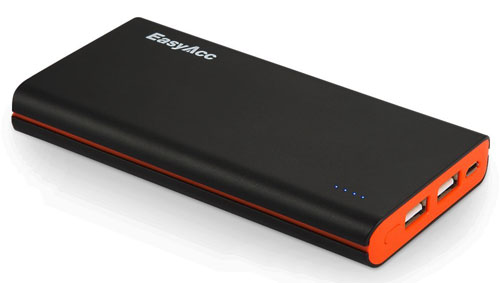 Do yourself a favour by getting an EasyAcc Power Bank. It’s a slim, relatively powerful external battery that can fit into most pockets, purses, or bags. Just plug in your phone as soon as you lose power, and you’ll never miss a shot. Any kind of vacation that takes you far away from campus is going to be great, but you can make your Spring Break is even better with a few choice selections regarding your smartphone. Make sure you’re ready for the best vacation yet by investing in the above apps and accessories. Of course, don’t feel left out if your broke student life means you’re making it a staycation this year. There’s always Netflix to binge, and now that you can download all of Iron Fist or the Santa Clarita Diet, you can even watch it while riding the bus to your parents’ house. And just like that, your phone is the MVP of your Spring Break — however you decide to celebrate it.